During a difficult time in the City of Hartford, including acts of violence and apathy, I was approached by Ted Carroll, President of Leadership Greater Hartford. He and his colleagues had a vision for a community candlelight vigil to be held in Bushnell Park and to feature prominent City leaders and performing artists. Though they had a couple of interested parties already, I was asked to gather artists and musicians from around the area to participate – and we had only one week to pull it all together! It speaks volumes about our city that nearly every artist or organization I approached made the needed arrangements to participate. I organized the program, built a stage management team, and with the help of Arnold Berman, president of Event Resources, we made it happen. It is an honor to live and work in this city and to work with such talented and visionary people. 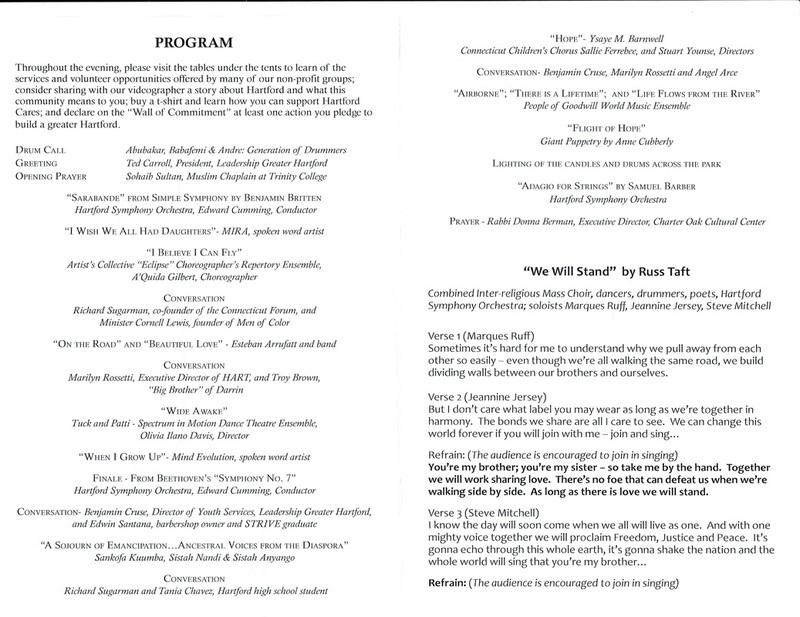 ​I was especially touched by the acknowledgment in the program that reads: "Steve Mitchell...who brought together so quickly and so well some of Hartford's finest artists and musicians." Thanks to all of my friends and colleagues that participated in this important event. 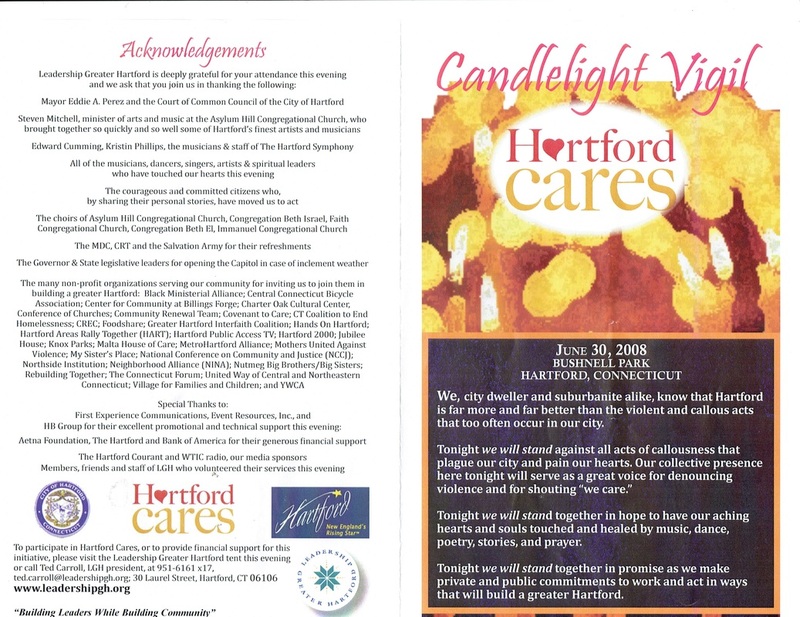 Here is an edited version of the Hartford Cares event. It showcases some of the community performers and the diversity of the event. Featured here are MIRA, Artists Collective, Spectrum in Motion Dance Theater Ensemble, Hartford Symphony Orchestra, Sankofa Kuumba, Connecticut Children's Choir, People of Goodwill World Music Ensemble, Anne Cubberly's Puppets, and the combined choirs of 5 Hartford Houses of worship.